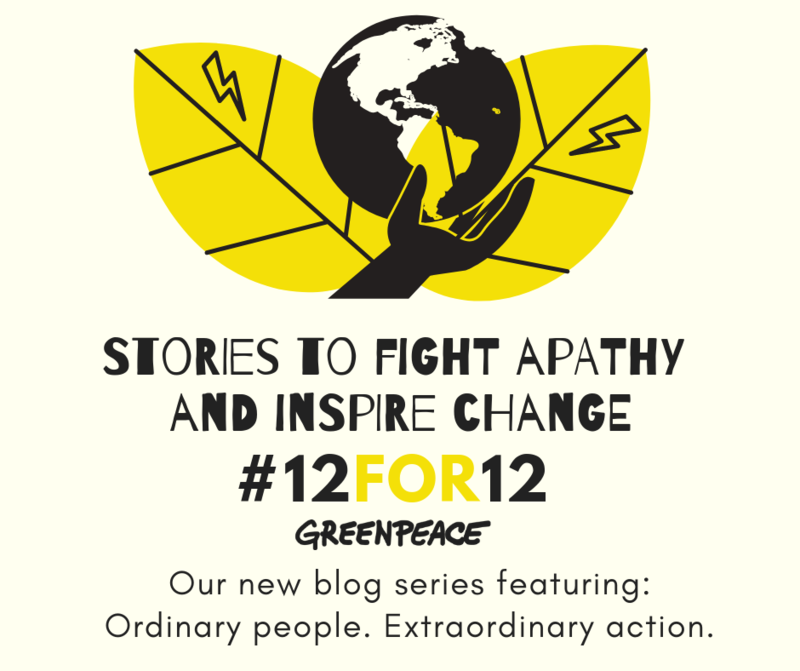 Welcome to #12For12, our new blog series designed to fight apathy and inspire change. 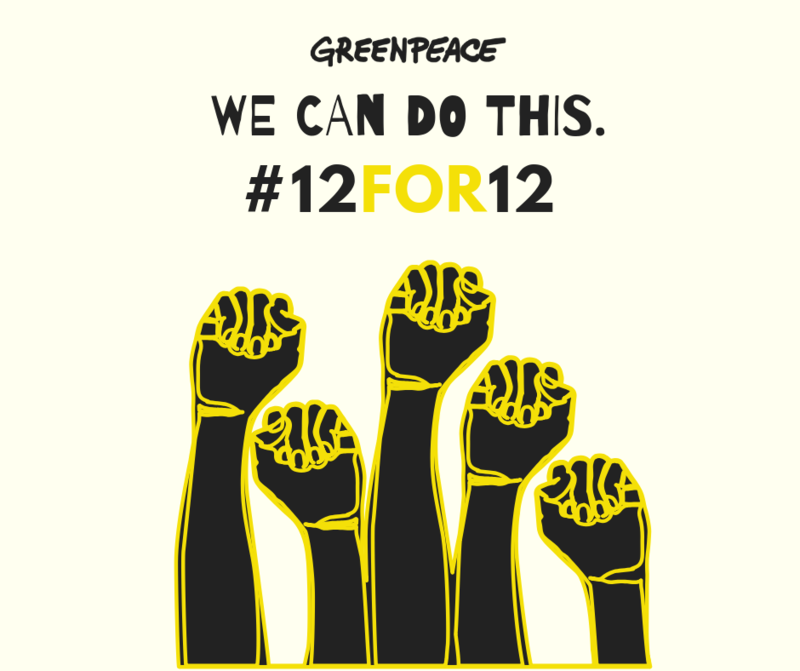 In this series, we’re asking 12 courageous climate champions from across Canada 12 questions about how they stay motivated, get creative, and mobilize others to take action in their communities. Why? Last year, climate scientists delivered their gravest warning yet. And with it, they gave us our greatest opportunity to act. In telling us that we had only 12 years left to stop catastrophic climate change, they not only gave us a clear timeline to stop global temperature increases but also a clear playbook for the type of holistic ambition we need to get our emissions to zero — and save people and our planet. So climate despair, be gone. Ecological grief, we have your cure. Meet the ordinary people doing extraordinary things to save the climate. Get inspired. Up first, we got to know one of the unstoppable young voices behind the movement inspired by Swedish teen Greta Thunberg. The movement has seen hundreds of kids across Canada skip school on Friday to lobby for climate action — and their futures — in their communities. 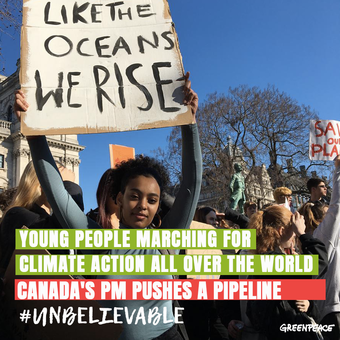 @rebecca_p_h tells us why she is #climatestrike – ing on March 15! What song best captures how you feel about the fight to stop climate change right now, and why? “Break Free” by 18-year old Indigenous climate activist Xieutezcatl! I listen to it whenever I’m feeling really excited by the energy of this movement. I also listen to a lot of other environmental jams: anything by Luke Wallace or Aaron Ableman is great. Also protest songs from the 60s! Those are great. You just won big at Vancouver’s city council. Congratulations! Tell us about what happened. How does it feel? Thank you! A couple weeks ago, the sustainabiliteens and I striked from school, organized a creative action, and spoke to city council in support of a motion to declare a climate emergency. The motion also went beyond a declaration; it committed the city to creating and implementing a plan of ambitious climate action. Happily, it was passed unanimously! Being involved in creating such concrete change was such a powerful feeling. The declaration was also reassuring. 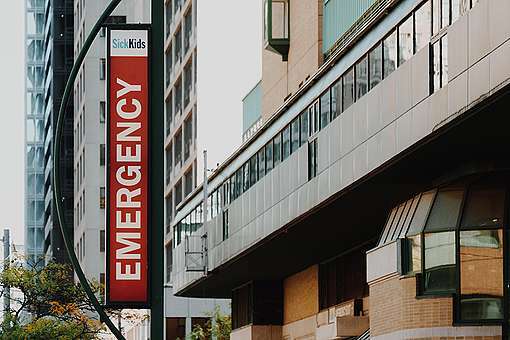 It’s really confusing to grow up knowing the science that tells us we are in an emergency, but not seeing urgency reflected in the actions of our leaders. Declaring a climate emergency is a first step in resolving this dissonance. When did you first start worrying about climate change? Like many of my generation, I think I’ve always been somewhat concerned about climate change. We’ve grown up with this latent awareness of an impending horizon of doom. I remember watching a documentary in a grade 7 science class showing the extreme weather effects of climate crisis, and feeling overwhelmed, confused, and frustrated. That’s when I started really started worrying about it. When did you decide to take action and what did you first do? When I recognized I unconsciously had this dark cloud on the horizon of my future, and that it is useless to dream of future possibilities if they don’t involve solving the climate crisis. It took me a while to really get involved (I couldn’t decide what I wanted to focus on), but I think the first initiative I got excited about was a parliamentary petition asking the federal government to take more action on climate for the sake of youth. I worked to get as many signatures as I could, and although I never ended up getting the petition presented (oops! I still have the sheets if someone out there wants to get on it! ), this showed me that I can actually come up with a change-making idea and make it happen. Any plans for what’s next? Many! Most excitingly, we have two major strikes coming up. March 15 (today!) is a huge global day of action, and we will be among hundreds of thousands of students in over 105 countries striking from school to demand that climate change be treated as an emergency. We are also planning a Canada-wide national strike May 3; the goal is a mobilization on the scale of the November 30 school strike in Australia! (to stay updated, follow us on Twitter @FFFCanada). Big picture, we want to help make climate action a top issue of the fall Federal election. Includes contact info for strike leads across Canada. What was the most surprising thing you’ve learned so far? How many folks have reached out to us to offer whatever support we need. The climate justice movement is such an amazing community! How did you get your classmates involved and stay organized? When we were planning the first strike, I reached out to a lot of sustainability-minded teens who I had met through various events. They then reached out to friends they knew and the whole group coalesced very organically. Now, we have a Messenger group chat we stay connected on, and are working on creating a more organized leadership structure. Want to spend your Sunday afternoon doing large scale mindfulness colouring with a bunch of other rad folks to support the epic Mar 15 #ClimateStrike? Yeah you do. See you at ourArt Build at 1pm! If you had B.C. Premier John Horgan or Prime Minister Justin Trudeau corned right now, what would you tell them? We are in an emergency. You need to address it with compassion and with love for your children: remember, cutting emissions literally means saving lives. Stop treating climate action as a high school assignment to put off and squirm your way out of, because the atmosphere doesn’t give due date extensions. Twenty years from now, will you be able to look your grandchildren in the eye and honestly say you did everything you could to secure them a safe future? All of the amazing young women organizing climate strikes in other parts of the world! Also a lot of other older organizers and thinkers such as adrienne maree brown, Naomi Klein, and David Suzuki. Honoured to be “Woman of the Year” in Sweden! What do you do to stay hopeful and de-stress? I spend time in nature, read visionary fiction, and am involved in a social justice-focussed Jewish youth movement called Habonim Dror. Any words of wisdom for other teens thinking about organizing climate action? Learn about the issues, but don’t think you need to become an expert on everything before you organize anything. Be creative and dream big: there are so many organizations and adults who want to help you make your ideas happen! Prioritize setting up your team. It makes organizing even more fun, and takes pressure off of you when actions start to pick up. Also, if you are the sort of student that procrastinates on all homework assignments and takes days to respond to texts from your friends (like me! ), try not to replicate these habits in organizing: it doesn’t work, trust me. With only a dozen-odd years left to save the climate. What is the most important thing you think people in Canada can do to help? Recognize we are in an emergency. Have regular conversations about it with your friends and family. Make climate action a top consideration when choosing who to vote for, and maintain pressure on your elected representatives by writing to them and by showing up in the streets. During World War II, everyone knew there was a war on; it was the lens through which every government and individual decision was made. The climate crisis needs to become this same lens. Jesse Firempong is a Communications Officer at Greenpeace Canada, living on Tla'amin territory in B.C. With Greenpeace, she helps tell the stories of environmental injustice (and solutions) in Canada and around the world. Jesse has a Master's in International Development and has worked on climate and human rights issues in Canada, Ghana, Botswana and Malawi. You can find her in the woods, with her nose in a book, or sassing pop culture with friends.